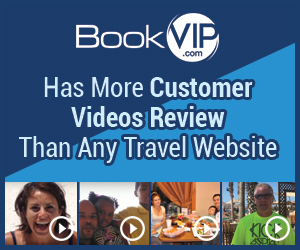 We strive to assist all our customers in having a great vacation with every reservation booked through BookVIP. As you are aware, the resort cannot honor your reservation because you are not legally single, which makes you ineligible for the resort's promotional rate per Reservation Details you agreed to via electronic signature. The resort confirmed that your marital status (married/separated – not legally single) is the reason they are unable to accept your reservation. When we reviewed the Reservation Details with you over the phone, you didn’t mention you were currently legally married (although separated). Instead, you indicated you were single and proceeded to agree to the Reservation Details with your electronic signature indicating that you met those requirements. This is why we review all the reservation details verbally and in writing with every dated reservation request to ensure no misunderstandings. Because Trip Guard Insurance was declined when booking this reservation, your dates have been cancelled at the resort and you have been issued a store credit. We extended your time to use your store credit from 12-months from booking, to 18-months from booking, towards any vacation for which you are eligible on our website. The reason why we have over 3.7 Million Facebook fans, more happy customer video reviews than any other travel site, plus traveled over 100,000 thousand families on vacation this year alone, is because we are the worldwide leader in discount promotional packages - that's our specialty. Paid for 5 days in Cancun. Received the confirmation call and was told I didn't qualify because I own a time share in Mexico. Called book ViP and asked for refund since I'm not allowed to go, they refused. They said they reviewed the recording of booking and that caveat was not mentioned that it is in their fine print. I'm challenging this as a fraudulent charge with my credit card company. Be advised, when you pay your money in full, it does not guarantee your reservation. I didn't like: Total lack of integrity. Review #1134550 is a subjective opinion of User1134550.